This course uses the life and works of Tolkien as an introduction to the discipline of comparative philology and to highlight the many links between this field and his creative writings. The course offers an introductory overview of several Germanic languages and their literatures, such as Gothic, Old and Middle English, and Old Norse, and covers select topics in Germanic comparative grammar. Tolkien is world-famous for his fiction. In his highly distinguished professional career, meanwhile, he was a philologist, and furthermore a comparative philologist, following in the footsteps of Jacob Grimm, whose innovations in comparative philology (vergleichende Philologie) must count as the Darwinian revolution of the humanities in the 19th century. Nor is it an accident that while Tolkien’s “Middle-earth” sequence was one of the great popular successes of the 20th and 21stcenturies, the fairytales of the brothers Grimm were one of the great popular successes of the preceding century. The philology and the fantasy go together. They deserve to be studied together. This course aims to use the life and works of Tolkien as a gateway to provide an introduction to the discipline of comparative philology, and to highlight the many links between this field and his creative writings. The course will offer an introductory (and necessarily selective) overview of several of the old Germanic languages and their literatures, such as Gothic, Old and Middle English, and Old Norse, and cover select topics in Germanic comparative grammar (e.g. Grimm’s Law). Attention will also be given to other related matters, such as Celtic philology and Tolkien’s invented languages. Students are not expected to have prior familiarity with any language other than modern English. Coursework involves readings, philological exercises, and study of short, glossed excerpts from ancient texts. 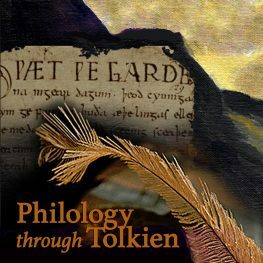 The overall aim is to provide a basic familiarity with the methods and subject matter of philology and to make the ancient languages and texts that provide the field’s raw data appear less unfamiliar, as well as to examine the strong influence of philology on Tolkien’s works. All texts required for this course will be provided as PDF downloads to enrolled students.